Situated in a valley surrounded by the snowy peaks of the Rocky Mountains, the Colorado resort town of Breckenridge is a popular destination for those seeking winter activities such as skiing and snowboarding. The town also has many art galleries, restaurants and other fashionable shops that have made the town a major attraction for celebrities and many travelers. Even during the summer months, Breckenridge has a large number of visitors that come to take advantage of the natural beauty and other outdoor activities that are available in the surrounding area. A Hyatt Main Street Station timeshare will make every trip to beautiful Breakenridge easy and unforgettable. The Hyatt Main Street Station is a beautiful and appealing timeshare resort that draws on the stunning views and multitude of activities that can be found in the area. The resort’s rustic mountain decor meshes with the woodlands and mountain vistas that can be viewed from each room. Guests looking to get away from the hustle and bustle of the city will find exactly the type of solitude and relaxation that they desire. Yet the resort is just minutes away from the center of Breckenridge. Many of the wonderful restaurants and shops are within walking distance of the resort. Those looking for Hyatt Main Street timeshares for sale should be able to find the ideal timeshare property at this desirable property in the delightful town on Breckenridge. One of the things that make Hyatt Main Street Station a desirable destination for travelers is the unmatched level of service that the resort provides to its guests and the luxurious appointments that can be found in each room and throughout the facility. The timeshare resort goes out of its way to assure that all their guests will have a stay that is memorable and will have them returning time and time again. This unsurpassed level of service is a strong reason to book a stay at the Hyatt Main Street Station. For those who are not already an owner, it is even a better reason to buy a Hyatt Main Street Station timeshare. Whether guests are arriving during the winter months to ski, shop or just relax, there are still many activities to suite all tastes and interests. Winter activities range from skiing, dog-sled tours, hot air ballooning, sleigh rides and tubing. The resort offers a number of activities on site that includes wine and cheese functions, complimentary fly fishing lessons, bicycle rentals, swimming, hiking, ice skating and well-equipped fitness center. The resort’s location near the ski lifts is a strong selling point for those seeking to buy a Hyatt Main Street timeshare resale. In the summer activities include hiking, fishing, biking, hunting, jeeping, lift rides and camping. 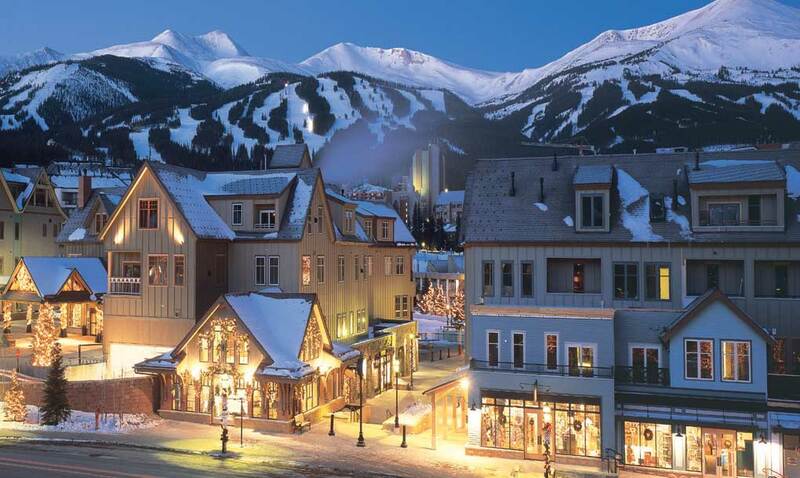 Breckenridge is known for its Festival of Film in June of each year that attracts thousands of film enthusiasts. Other popular summer events include the Genuine Jazz and Wine Festival, the Bach, Beethoven, and Breckenridge Music Festival and the Arts Festival in July. The summer is a great time to visit and find a Hyatt Main Street Station timeshare deal. The residences at the Hyatt Main Street Station come in three configurations: Studio, Two Bedrooms and Three Bedrooms. All residences are outfitted with King or Queen Beds with sumptuous bedding and memory foam mattresses, a state-of-the-art entertainment system with flat screen televisions and high-speed Internet service. The cooking and dining areas range from the kitchenette in the Studio to the fully-equipped kitchens in the two and three bedroom residences. Guests staying in the two and three bedroom units can enjoy the spectacular views of the mountains from their balconies. They can also cozy up to the fireplaces found in these rooms. Hyatt Main Street Station is the ideal vacation spot for families. The accommodations provided by the resort such as the theater room, covered underground parking, onsite ski storage and rentals and the posh lobby area adds to the appeal of the resort. It should fit the demands of buyers looking for a Hyatt Main Street fractional ownership. Because most owners enjoy their stays at this resort, whenever they are ready to sell a Hyatt Main Street timeshare, they will find buyers very quickly. A resort that caters to families with exceptional service is the main reason to secure a Hyatt Main Street Station timeshare deal. Premier Timeshare Resale is the ideal company to help with buying a Hyatt Main Street Station timeshare. They are well experienced in matching buyers with sellers. Those interested in Hyatt Main Street Station resales should contact the well-trained Premier staff for assistance in with the purchase or sale.